HARARE, Zimbabwe -- An explosion rocked a stadium where Zimbabwe's president was addressing a campaign rally on Saturday, state media reported, calling it an assassination attempt but saying he was not hurt and was evacuated from the scene. Witnesses said several people appeared to be injured. President Emmerson Mnangagwa was whisked to a state house in Bulawayo, where he had been speaking ahead of next month's election, the state-run Zimbabwe Herald reported. "Attempt on ED's life," the Herald's headline said, referring to the president by his initials. Footage posted online showed Mnangagwa waving to the crowd, turning to step off the podium and walking into the open-sided VIP tent, where seconds later the explosion occurred. People ducked and screamed and smoke billowed. Mnangagwa took power in November after his former ally, longtime leader Robert Mugabe, stepped down under military pressure. That dramatic transfer of power began when Mnangagwa was fired as Mugabe's deputy and said he had to immediately flee the country for his life. The July 30 election will be the first without Mugabe in the southern African nation since independence in 1980. 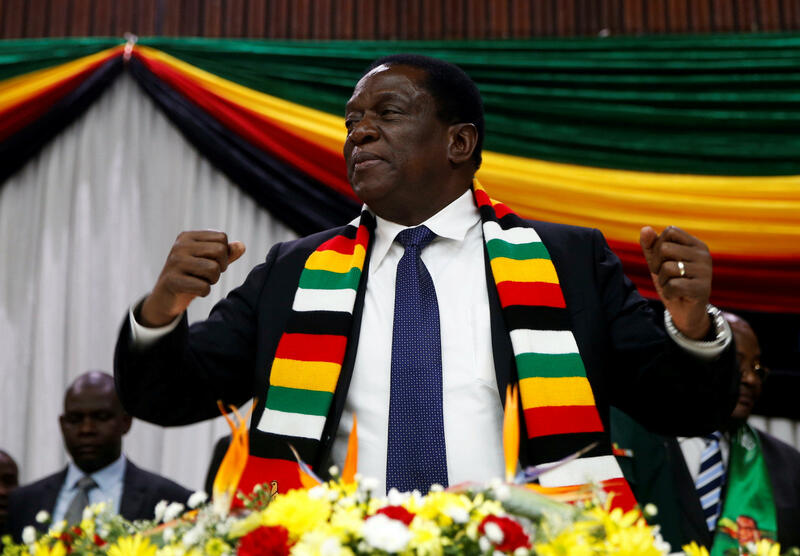 Mnangagwa has pledged to hold a free and fair election, inviting Western observers for the first time in almost two decades. Past votes have been marked by allegations of violence and fraud, and the United States and others have said a credible vote is key to lifting international sanctions.